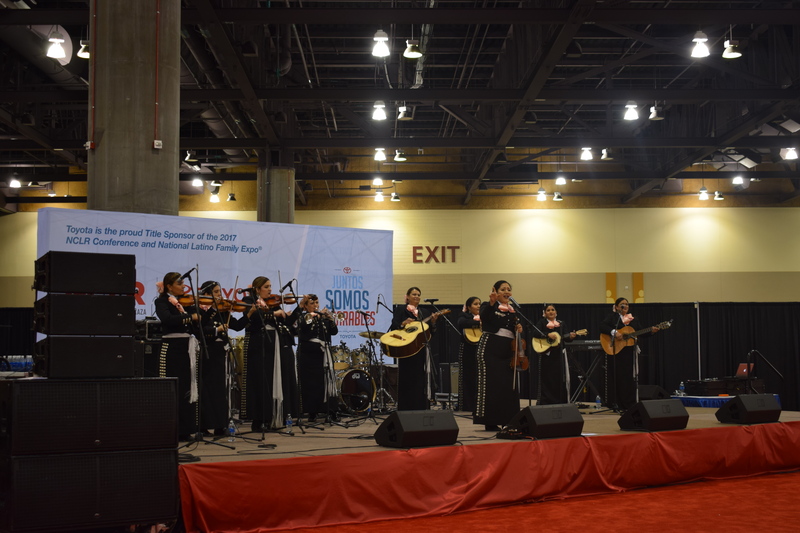 Experiencing The National Latino Family Expo at #NCLR17! This post is sponsored by Toyota Latino. As always, all opinions are my own. 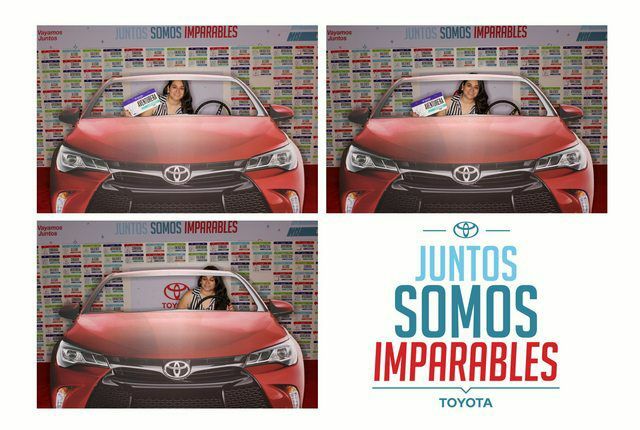 I was at #NCLR17 (National Council of La Raza Annual Conference which has recently branded to UNIDOS US) this past weekend and I spent the majority of my time with Toyota experiencing their incredible new campaign ‘Juntos Somos Imparables’ (Together We Are Unstoppable). 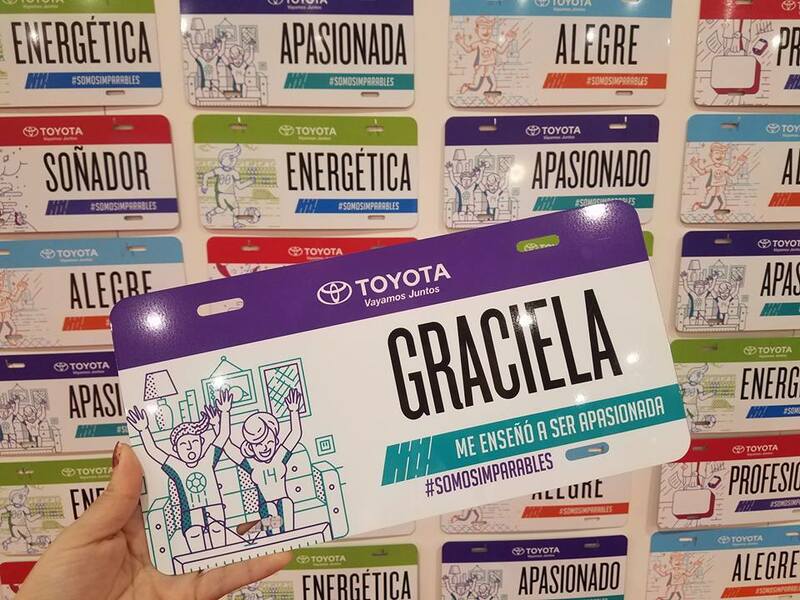 Toyota had a mural with an interactive booth that featured an art installation of license plates bearing personal attributes such as “alegre” (happy), “energetico” (energetic), and “profesional” (professional). Attendees were asked to choose the value they most identify with and think about the person in their life that inspired that quality. 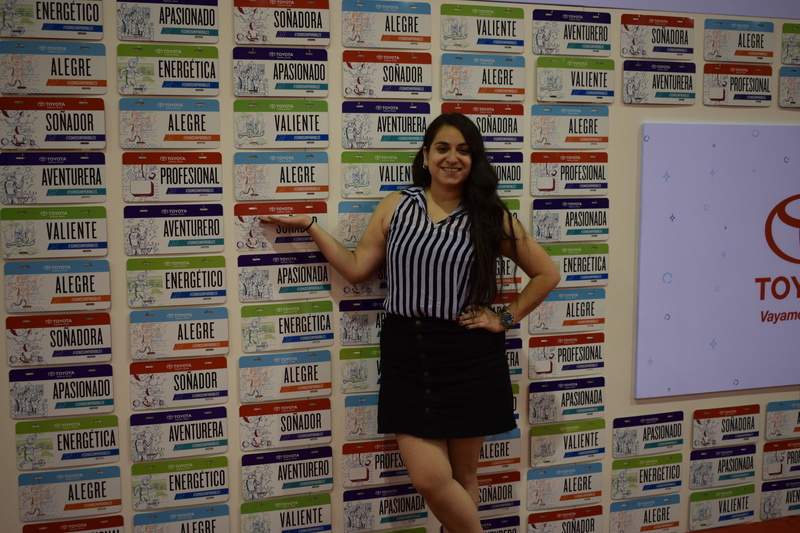 I identified most with “alegre” (happy) and “apasionada” (passionate). I like to think that my mom inspired me to be happy and passionate to seek out the positive, no matter what life throws at you. The fun part of the Toyota display was that once you identified the person who inspired you, you could go and get a personalized license plate to take home! Not only did they have the incredible art installation with interactive license plates, they also had a community stage with various entertainment acts throughout the conference. 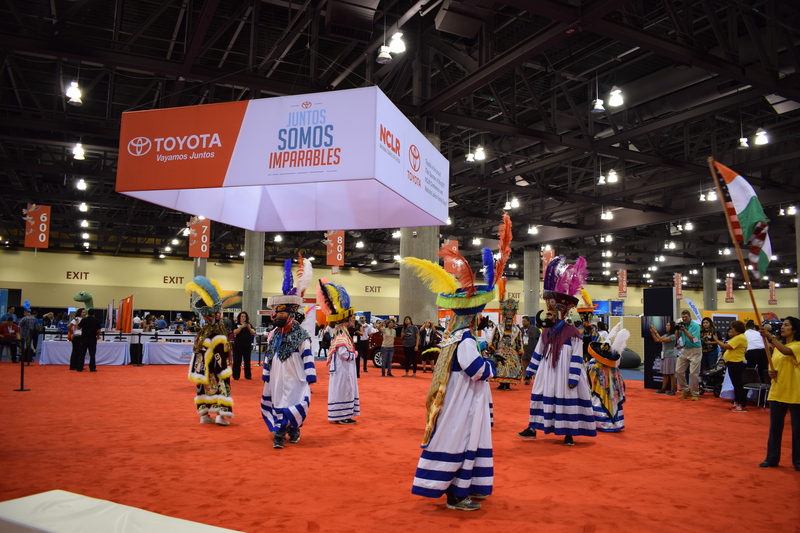 There was music, dancers, mariachis, photo booths, and the opportunity to meet others who believed in the message that Toyota was hoping to drive. My favorite entertainment act was Mariachi Pasion, an all female mariachi group that my good friend Zamantha happens to be in! The lines for the photobooth were a bit long, but tell me this photo isn’t worth it (just ignore the bottom left photo, someone sent me a text message and I got distracted). The entire booth was just buzzing with excitement the entire time I was there…you really felt like you were unstoppable when you stopped and looked around to see that you were surrounded by so many happy people. 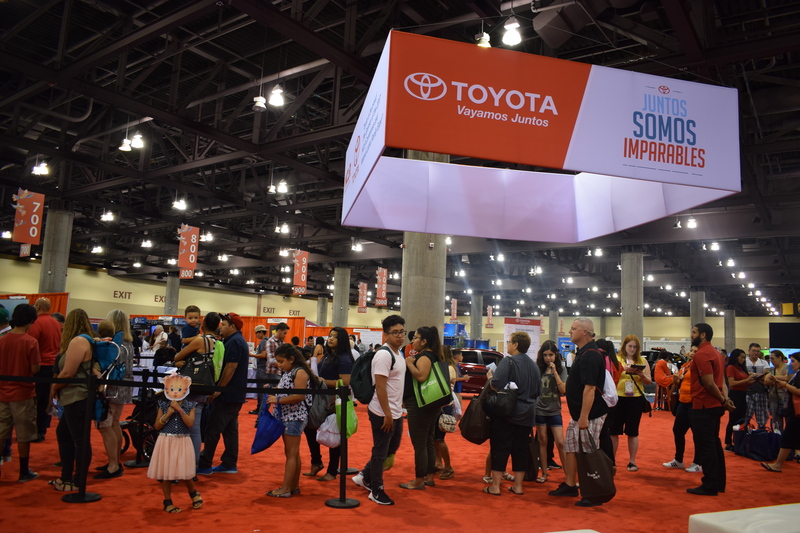 Thank you Toyota Latino for having an incredible and very inspirational booth at #NCLR17, the attendees were very happy with all that was offered! 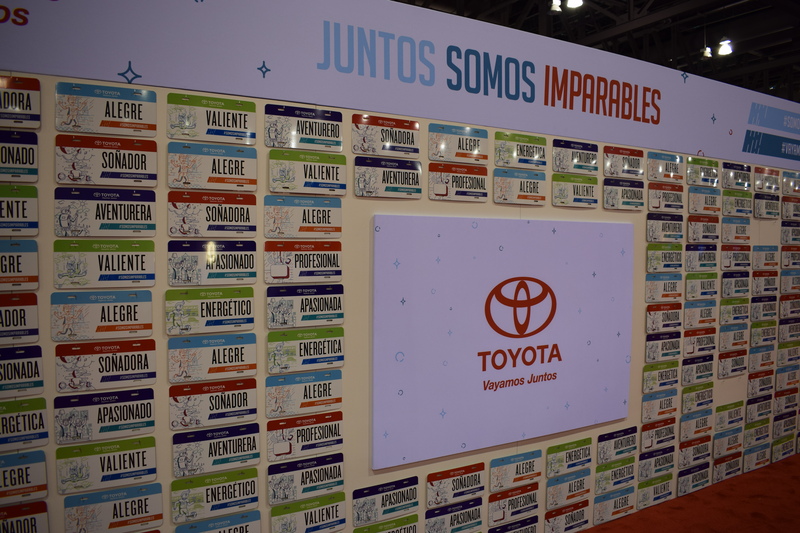 I loved that Toyota was recognizing the unstoppable qualities of individual Hispanics, which together create an unstoppable community that is constantly moving forward. I also had the opportunity to interview Neida Sandoval, the current Celebrity Ambassador of the national “Juntos Somos Imparables” (Together We Are Unstoppable) campaign for Toyota. You can read the interview here. < Previous How To Craft The Perfect Bucket List! Next > Neida Sandoval, The Toyota Ambassador That Wants To Hike Machu Picchu!